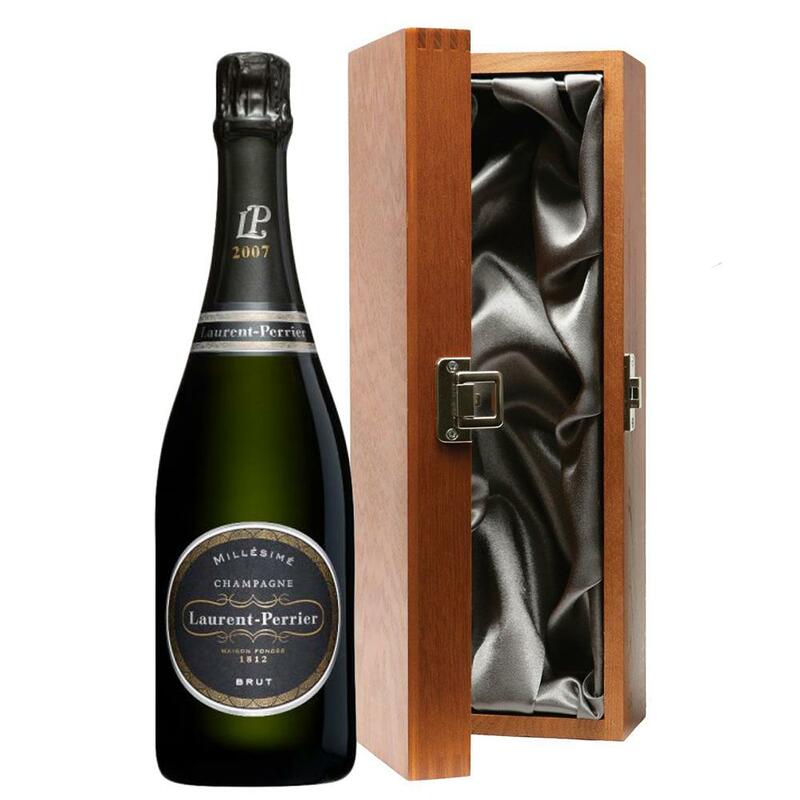 Luxury added to your bottle of Laurent Perrier Millesime Vintage 2007 75cl - Laurent Perrier Vintage Champagne Gift with the alluring wooden case with hinged lid. The case is made from wood, which is beautifully complemented with stainless steel hinges and clasp. This case adds the ultimate luxury to any gift and is delicately lined with silver satin. Laurent Perrier Millesime Vintage 2007 The wine is medium straw yellow in colour with an open and well developed nose. On the palate it is rich well sustained with a slight biscuity character from the prolonged lees ageing and a long finish of honeyed ripe fruit. Sending a bottle Laurent Perrier Champagne makes a gift extra special.